The Washington D.C.-based law firm that recently called Mayor Duggan “a political hack” who’s “too incompetent to do the job he took on” smacks of the juvenile, disingenuous ramblings of attorneys who secretly colluded with Gov. Snyder to plunge Detroit into bankruptcy. Jones Day attorney Stephen Brogan recently sent a long-winded letter to Duggan after the mayor made a legitimate claim that pension obligations were significantly understated during the bankruptcy process, which will cost taxpayers hundreds of millions of dollars more than was projected by consultants. To project the city’s pension obligations into the future, bankruptcy consultants relied on antiquated calculations by using outdated mortality tables – a decision that could haunt Detroit for decades to come. Last month, Duggan threatened to sue Jones Day, which raked in $58 million for its work in Detroit, over the miscalculations. Jones Day attorney Kevyn Orr served as the state-appointed emergency manager. Let’s rewind to January 2013, when Gov. Snyder and Jones Day agreed to lie to Detroiters about the prospect of bankruptcy, according to e-mail records obtained by Motor City Muckraker. Despite the public’s opposition to state intervention, Snyder’s team was quietly searching for a bankruptcy expert to take over the city’s finances. But in public, Snyder and then-Treasurer Andy Dillon were still insisting that state intervention was by no means a certainty and appointed a six-member review team in December 2012 to determine whether an emergency manager was the best choice. Behind closed doors, Snyder was hunting for bankruptcy experts and found Orr’s law firm, Jones Day. On Jan. 31, a Jones Day attorney advised Snyder that bankruptcy clearly was the top choice. But Orr expressed concern that the new EM law looked like it was tailored for a Chapter 9 filing – a position that Snyder had publicly denied because municipalities are required to first determine whether less serious action can be taken. State officials reassured Orr that the state, along with select Detroit leaders, were engaged in a PR campaign to warm Detroiters to the idea of emergency management. The idea: Don’t mention bankruptcy, pension cuts or debilitating budget reductions. Stay positive. On Feb.12, Snyder’s team sent Orr a contract and urged him to sign it as soon as possible. On the same day, Dillon and Snyder assured the public – again – that no decision has been made on whether an emergency manager would be the best choice for Detroit, even though they had just signed a contract for an EM. Never mind that the financial review team was still a week from filing its report, which Snyder insisted would be the basis for his decision on whether to appoint an emergency manager, a move that would impact markets, Detroiters and potentially all Michigan residents. On Feb. 19, the state-appointed financial review team declared the city was in bad financial shape, but Snyder and Treasurer Dillon insisted, yet again, that no decisions were made on whether to appoint an emergency manager. “The governor is saying he’s not going to make a decision until he studies (the report) and is able to make a thoughtful decision” on whether an EM is needed, Dillon told reporters in Detroit that day. Snyder’s aide, Baird, set up a clandestine meeting between then-Mayor Dave Bing and Orr for Feb. 25. But it was too risky to meet in the Motor City, Baird warned, because the National Governor’s Association was in town. “I think the lunch would be better held in our offices for the sake of privacy,” Baird wrote. Bing’s office agreed about privacy: “We wish to stay below the radar,” his office wrote from a private email account. On Feb. 21, the governor’s office privately arranged to announce Orr’s appointment on March 14 in Detroit. Hours later, Snyder told the media that he was unsure whether he was going to appointment an emergency manager. “It could take weeks before there is a firm decision,” Snyder told me in an interview that day. In the meantime, his staff was preparing to lease a posh, furnished suite at the Westin Book Cadillac, where Orr would live during his 18-month contract. In interviews with the media, Bing denied knowing anything about the new emergency manager. When Orr arrived in Detroit for the official announcement, questions about bankruptcy were quickly dismissed as too early. “Let’s get at it and work together because we can resolve this without bankruptcy,” Orr said. Soon after, Orr’s powerful legal team began preparing a 3,000-page bankruptcy filing. While the EM met with creditors and unions in meetings intended to strike a deal to avoid bankruptcy, participants said the sessions were clearly designed to set the stage for Chapter 9. From Day 1, Jones Day and Orr were dishonest to Detroiters. That’s what political hacks do. In the letter to Duggan, Jones Day took an opportunity – as political hacks do – to fling nonsensical insults at a democratically elected leader. “Filing this action would place the mayor in a long line of corrupt Detroit politicians who placed personal political ambition above an objective determination of the City’s best interests,” the letter reads. 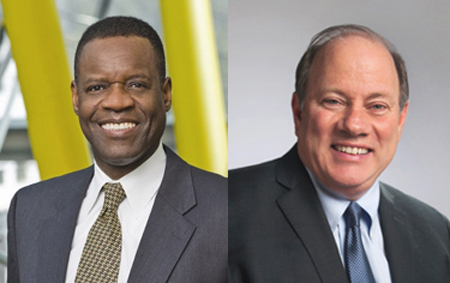 Mayor Mike Duggan and CFO John Hill have stated that they were not informed or briefed regarding the risks associated with the mortality tables and other factors that lead to inadequate funding of the City’s pensions under the Plan of Adjustment. While there is a fair amount of name-calling in the Jones Day letter, nothing in that letter contradicts the statements of the Mayor and the CFO. Specifically, the letter states that there was discussion of the mortality assumptions, but never claims that this critically-important information was shared with Mayor Duggan or CFO Hill. The City is continuing to review the facts and the law to determine whether it should proceed with a claim against Jones Day. The City may also seek revisions to the emergency manager laws to ensure that local elected officials are fully briefed in the future. As the first paragraph of the letter states, on February 20, 2017, our office postponed a planned meeting at the request of the Mayor’s office in order to allow David Massaron, Deputy Chief of Staff and Counsel to the Mayor, to review issues regarding Jones Day’s potential liability prior to that meeting. On March 1, 2017, we informed Jones Day that we were no longer instructed to “stand down” and that the review process would continue.